Saturday November 25th 2017 I completed the Halong Bay Heritage Marathon in Vietnam. 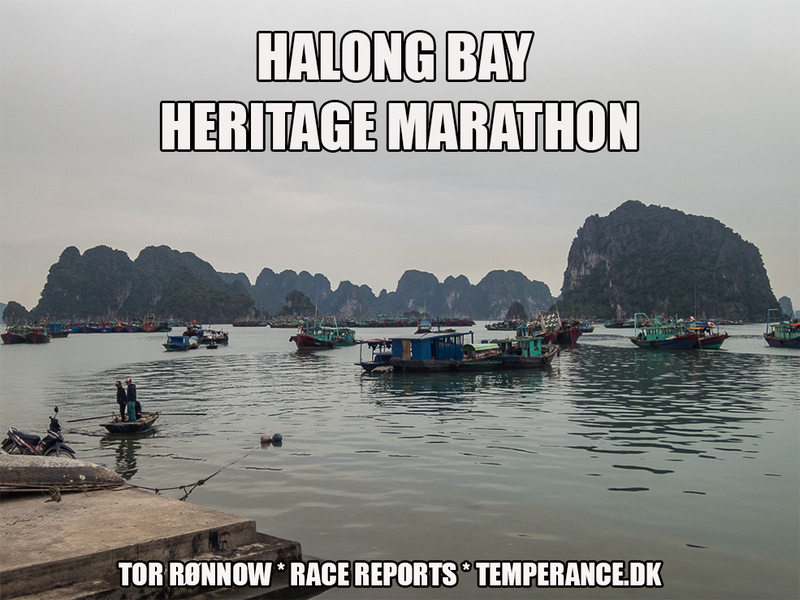 Find below my full race coverage plus many tourist impressions from Hanoi and the Halong Bay. You may well grab a cup of coffee or a glass of wine, this race report will take you some time to get through. The report links open in many languages. Hanoi City includes the busy Old Town with it’s multitude of shops, bars and street food places. Everything is within 5-10 minutes of walking distance and the atmosphere is kind of electric both day and night. At first, you may be alarmed by the chaotic traffic but quickly you just get to love it. During our short stay, we managed to visit a few of the landmarks in Hanoi, it’s all in the report. The 4-day Tour Package from the Halong Bay Heritage Marathon sported a 1-day cruise on the Halong Bay itself. This was a nice diversion and we got to know the other runners on the ship a bit more, discuss the race experience and so on, besides from enjoying the beautiful views of the bay. Absolutely a cool stunt in the programme! The Halong Bay Heritage Marathon started 06.00 hours and took the runners out-and-back on a 21.1 km loop with great sights to the bay at times, but also with some minor funny parts burdened by traffic also. The organization of the race and the service both before and after the race was of high quality, so I guess the exam is passed overall (though I would have some improvement points to the Race Director for future races). Writing this back home and evaluating the total trip to Vietnam, I have to say: this was the total race experience of the year and it will stay with me for a long, long time. Thank you!